One of the reasons people get so confused about the conditions for receiving eternal life is that they equate terms and ideas in the Bible with eternal life which do not refer to eternal life. Ever since the Black Plague swept through Europe, Western Christianity has had an unhealthy preoccupation with what happens to people after they die, and as a result, has often read the Bible through life-after-death colored glasses so that everything seems to be teaching about what happens to people after they die. Numerous problems arise in the thinking of many Christians from the mistaken belief that the Bible has numerous synonyms for eternal life. It doesn’t. Most often, when the authors of Scripture want to write about eternal life, they use the words “eternal life” (or “everlasting life” in some translations). However, there are numerous other terms and phrases in the Bible that modern readers often confuse with “eternal life,” and as a result, end up with confused theology as well. Below is a brief description of five of these terms with an explanation of what these terms actually mean. We have already discussed the words “saved” and “salvation” in previous posts but the misuse of this word as a synonym for eternal life is so prevalent, I thought it would be wise to mention it here again. When the Bible uses the words “save” or “salvation,” it is almost never talking about eternal life, but is instead referring to some sort of temporal or physical deliverance from sickness, death, enemies, or other calamity. Sin has disastrous consequences in our life, and when Scripture talks about being saved from sin, it is not referring to deliverance from hell and going to heaven when we die, but about being delivered from the damaging effects of sin in our lives here and now. 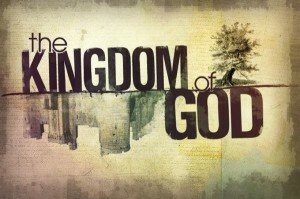 Kingdom of Heaven and Kingdom of God. 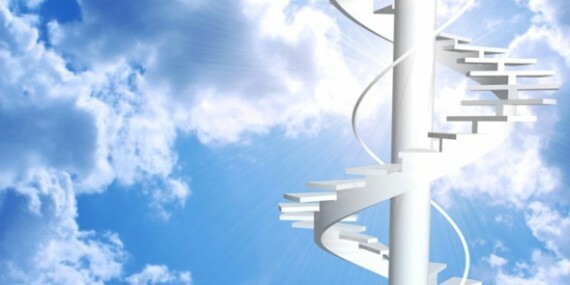 Many Christians believe that these terms refer to “heaven” itself, and more specifically, when Scripture talks of entering or inheriting the Kingdom, that this refers to going to heaven when we die. The Kingdom of Heaven and the Kingdom of God are two terms which refer to the rule and reign of God. God does reign, of course, in heaven, but God also seeks to rule and reign in our lives, and on this earth. This rule and reign of God is accomplished in various ways, but primarily as people start living according to the principles of God’s guidelines for how life is to be lived. This begins in our own life, and moves outward from there. As such, entering and inheriting the Kingdom of Heaven is not about receiving eternal life or going to heaven when we die, but is concerned with how we live our lives right now on this earth as citizens of God’s Kingdom. If you want to read more on this subject, I strongly recommend How God Became King by N. T. Wright. In future posts we will look at other terms that are often confused with “eternal life,” so stay tuned! Jeremy this is such good stuff and so necessary for cohesion in ones thinking and acting as a believer. Before I knew this every passage that mentioned these terms seemed to me a confusing amalgam of threats and worries that somehow the score wasn’t really settled between me and God. As I learned the difference and that what God wanted was my life here and now to be conformed and yet at the same time He had saved me entirely and I was His then the sense of freedom in Him began to develop. Thanks, Mark. Your story sounds a lot like mine. Once I learned these things, it too clarified so much confusion about numerous texts in Scripture, and (like you say) so many of the apparent threats and worries of following Jesus. They just disappeared! Like you, it is then that the freedom began to develop. Of course one of the favorite verses of evangelicalism is Acts 16 31-32 ‘…….what must I do to SAVED? ……’believe on the Lord Jesus Christ and you will be SAVED!’. This verse is used by some to suggest that repentance and making Jesus your Lord is not necessary to go to heaven. From the context SAVE probably means avoiding the death sentence which would be passed on the jailer. If we want to know how to inherit (NB not merit ) eternal life we have the answer in the parable of the Good Samaritan: ‘Go and do thou likewise’. I often though that this verse might be one of the rare “exceptions” to the use of the word “save” in the BIble. But just a few weeks ago I heard a man teach on this verse who taught convincingly exactly what you have just said. He wanted to avoid getting killed for failing in his duties! The story of the jailer teaches us that those embarking on the Christian walk often need saving from their immediate predicament. This may be poverty, sickness, unemployment, physical death. This is the starting point of salvation but not its end which is everlasting life. Thus it is not wrong to quote this verse meaning ‘ believe in Jesus to gain everlasting life’. But we need to be careful that we dont read our tradition back into a verse. Would Paul have thought believing in Jesus was just an intellectual consent or a mystical trust (was Paul a Lutheran?). I dont think so. To believe in Jesus for Paul would mean to follow him and seek to obey his commands. We are told that the jailer was baptised, Did Paul omit the call to repentance that Peter made on the day of Pentecost? Peter said repent and be baptised. Or should we say as some have that Paul understood the gospel of grace better than Peter?. I dont think so. I am not sure what you are saying. Do you think I hold to some sort of intellectual consent or mystical trust? I don’t. Do you think I believe that Paul and Peter had different gospels? I don’t. Anyway, I do agree with the idea that those embarking on the Christian walk need deliverance from their immediate predicament, and that is what we read about in Acts 16:31. You do need to join a discipleship group to get the blog posts. But the “Faith” Discipleship group is free. Thank you, Jeremy. This is so helpful! Thank you, Lisa. I am glad. Love this. Thanks so much for writing it. As you might have guessed, I’m fascinated by how a culture and language affects interpretation at a societal level. I was afraid someone would ask for my source on that. Ha! I tried and tried to find it. I read it somewhere in a book or two several years ago. But now I cannot find it… Sorry! If I do find it, I will add a reference. When we look at bible verses that relate to everlasting life we find a thing that confounds many evangelicals: they speak of doing good. e.g John 5 29 ‘…….and those who have done good (will participate in) the resurrection of life. Rom 2.7 (God will give) eternal life to those who by patient continuance in doing good….. ‘ Luke 10 25, 37 ‘What shall i do to inherit eternal life……go and do likewise’ These verses are not advocating works righteousness but it seems incorrect to argue as some evangelicals do that works pay no role at all in inheritting eternal life. If we look at another verse James 2.5 God has chosen the poor ….to be heirs of the kingdom which he promised to those who love him. NB LOVE him not just believe in him. As they say love is a doing word. Our doing good is part of our loving Jesus. If we do not do good we do not love Jesus and we will not inherit eternal life. But he loved us first. Our doing is not a means to win God’s approval but comes from a love that starts at Calvary. Yep. The key word in all these texts is inheritance. There is the aspect of eternal life which is the free gift of God to all who simply and only believe in Jesus for it, and then there is the ongoing, daily experience of eternal life, which is called “inheriting” eternal life, which is through living by faith. No I didn’t think you held the idea that Paul believed in a mystical trust. I was rejecting a common misconception of this passage. I was questioning the common idea that belief and actions were somehow separate. Either we believe or we do. This idea comes from Luther’s Law/Gospel and works/faith dichotomy which has become pervasive in evangelicalism. The idea that we might need to do something to receive eternal life is seen as an anathema to sola fide. But love is a doing word and we need to love the Lord to receive eternal life James 2.5. I was just curious if you’ve done any studying on the Greek word aion and it’s derivatives… I was very interested to find the semantic range of these words to give even more context to what “eternal” means (or doesn’t necessarily mean) in our modern translations. Hello Jeremy. Good, uncomplicated piece. One of the confusing salvation verses I have found in listening to people’s questions, is Php 2:12 – the working out of one’s salvation. Your discussion will help many who battle with this verse. As far as the kingdom goes, I have heard preachers desperately trying to explain a difference between the kingdom of Heaven and kingdom of God – clearly not understanding that they are the same concept. And I fully agree with your explanation of the kingdom life here and now. The title of my Master’s dissertation was “The kingdom of God: A visible phenomenon”. “But seek first the kingdom of God and His righteousness, and all these things shall be added to you”. 	Working of miracles such as turning water into wine, raising Lazarus from the dead and walking on water. All of these manifestations took place where others observed them. It therefore constituted a very visible phenomenon. What many prophets and righteous men of old desired to see, the disciples and multitudes of people could witness to as eyewitnesses (Matthew 13:17). It is sad that many excesses and abuses have caused true visible manifestations to be rejected on such a wide scale from within the church.